Well aware of the bomber’s reputation for crashing, Nemeth said, “You couldn’t scare me. I was a brave 26-year-old without much sense. I liked to fly. Their job was to provide tactical air support to the troops on the grond. 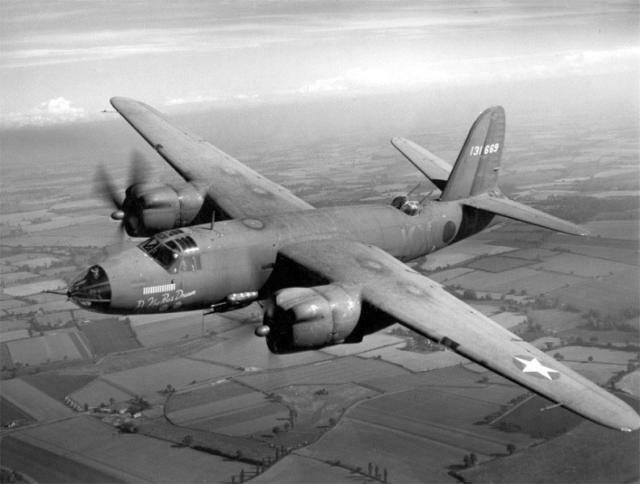 Much of the time B-26 crews bombed and staffed bridges, ammo dumps, railroad yards and enemy troop buildups in their fast-moving, low-flying attack bombers. The Wold War II aviator flew his last mission over German fortifications at Brest, France. Even though Allied forces invaded Europe by then, there were still German units that had been cut off but were holding out. Brest was one of those enemy pockets of resistance. It had been the site of a very important German submarine base. It was a pretty insignificant flight for Nemeth and his crew. Nothing memorable happened on their 67th and last mission over enemy territory either. It was a far cry from the raid they made on the German submarine pens in Holland. “Just before we hit these pens, another squadron attacked them and was badly mauled by the German anti-aircraft guns protecting the base,” he said. “We attack at 9,000 feet. We were flying through black clouds of flak. A couple of nearby B-26s in our formation were shot down. D-Day was another memorable experience for the old aviator. Nemeth said there were Allied ships in the English Channel for as far as you could see. They were part of the giant invasion fleet that put 150,000 troops ashore at Normandy during the first 24 hours of the European invasion, despite the lousy weather. “Our target that day: The German fortifications and troops along the Normandy beach. We were flying in formation, 54 B-26s under the clouds at 2,300 feet, when we attacked the enemy,” he said. “One ship on my left got hit by shrapnel and he was gone. The flak from enemy anti-aircraft wasn’t too heavy. It was mostly enemy machine-gun fire coming our way. “At one point during that raid, a couple of ME-109s (German fighter planes) flew through our formation. They were shooting at whatever they could hit,” Nemeth said. “About the only time German fighters were successful was when one of our bombers was hit and had to drop out of formation. They would attack the bomber that lagged behind. It wasn’t just over enemy territory that pilots and crew struggled with life and death issues. “I remember this real well, I was coming back from a mission and started coming in for a landing and one wheel wouldn’t come down. I tried several things to make the wheel drop, including the emergency procedures. It didn’t work. “I asked the fellows what they wanted to do. I told them I was going to try and land the ship. The crew decided to stay with me,” Nemeth recalled. “I told my commanding officer I’d try some more things to get the wheels down. I had the co-pilot push the button that let the wheels down while I went into a dive. I did this four or five times. Finally on the last try the stuck wheel dropped into position. “I wasn’t sure if it was all the way down and locked. Even so, I decided to take a chance and land the ship. I came in as slow and as easy as possible. As the wheels touched the ground everything was OK.
“Before I could get out of the airplane, a Martin B-26 man from the factory, who was on base at the time, was checking out the faulty landing gear. He discovered that the locking mechanism was hooked up wrong. “They were going to court-martial the crew chief (whose job it was to maintain the airplane). I told them we had already made 25 missions without experiencing any landing gear problems, so forget it. They did and the crew chief got off the hook,” he said. Some 13 Air Medals and 67 flights later Nemeth was getting edgy about flying more combat missions. He figured his good luck had just about run out. He flew two more missions and headed home. The war still had seven months to go. 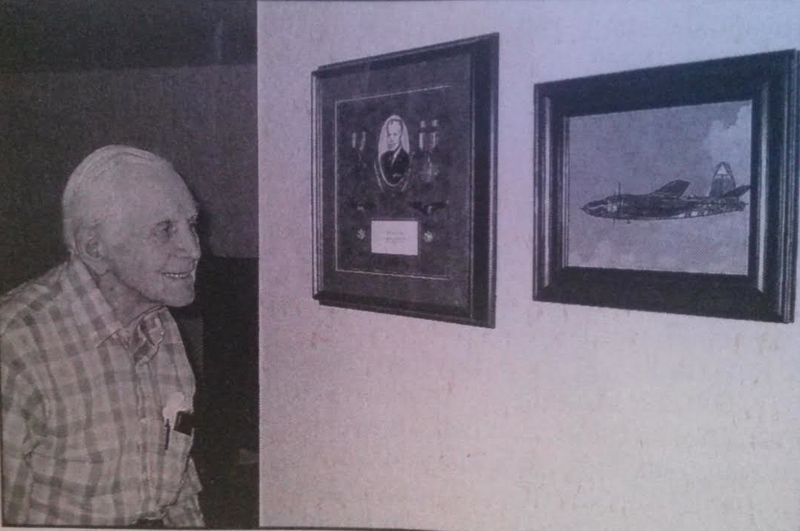 After 4 1/2 years of service in the Army Air Coprs during the Second World War, Nemeth remained in the Reserves. On April 20, 1975, he retired as a lieutenant colonel. He served his country for 33 years, one month and 4 days. This story was first published in the Charlotte Sun newspaper, Port Charlotte, Fla. on Sunday, March 4, 2007 and is republished with permission. Lt. 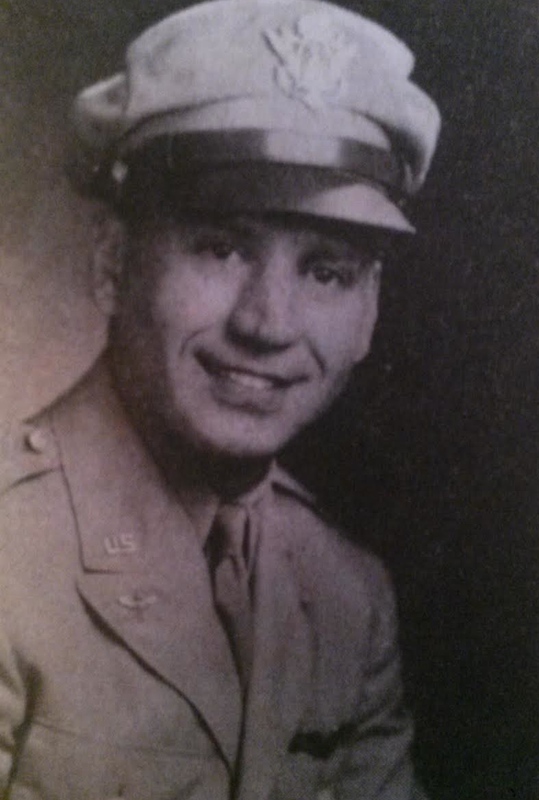 Colonel John J. Nemeth, 95, of Port Charlotte, FL, died peacefully January 30, 2011. He and his wife Helene of 58 years were married February 9, 1946 at Holy Trinity Church in East Chicago, IN. Corrected. Thank you for your input. We strive for accuracy and appreciate your letting us know. It took some work on the internet to find this site in order to track down information on Mr. John Nemeth. I worked for the Nemeth’s for over a ten year period at their grocery store in Dolton, IL from approximately 1960 to 1971. The Nemeth’s started with a store in Hammond, IN on Calumet Ave that was the most profitable grocery store in the Midwest based on its sq. ft. earnings. The subsequent store built in Dolton was a mega grocery store for its time that included a restaurant, pharmacy, bakery, deli, small appliance shop and even had live fish available for sale. Incidentally, the Dolton store had a half round roof design that resembled a large airplane hangar. Although the store is now closed, the structure is still there on Sibley Blvd near the Calumet River. I attended a Christmas party during this time at the Nemeth’s upscale home in Olympia Fields, IL. I am sorry to learn from this post that their daughter, Robin, who was a few years younger than me, has passed on. I am grateful to the Nemeth’s for my employment at the time that enabled me to achieve my B.S. degree from Purdue University, so in a way one can say they have touched my life to the positive. Thanks to Don Moore for his fantastic post of Mr. Nemeth’s War Tales and his heroic actions of that time. My renewed interest into what happened to Mr. Nemeth was brought about by my recent ground tour of the B-17 “Aluminum Overcast” (see my F.B. post) at the Valparaiso (IN) Regional Airport on 7-3-18. I will be actually flying in another B-17 sponsored by the Collings Foundation at the same Valpo airport on 8-4-18.